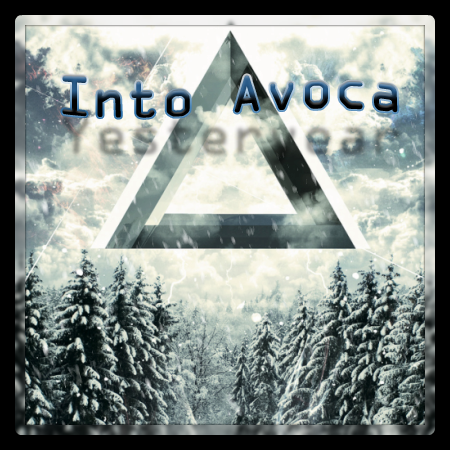 Description: Into Avoca brings you their first full length album with some of their newest material, while always showing a pledge to revive the artist "Nocturne's" old stuff as well with the old Into Avoca flair. You're not gonna wanna miss this, download now!!! New World Wasteland: Nocturne returns from his hiatus with this ground-breaking album fully remastered and jam packed with over 10 brand new songs! All Songs were remastered directly by Nocturne himself! Check it out now! Nocturne revives, with New World Wasteland. Featuring the best songs of Nocturne's Career, Nocturne releases his fourth and final album before going into a self-proclaimed retirement. This Album feature 14 of his most popular songs from his past albums and features 4 brand spankin' new songs. It also comes with a bonus music video of "A Blackened Nostalgia" as well, be sure to stick around, When Downfall covers "A Blackened Nostalgia" in Cello orchestral format! Download Nocturne's final album now!! Please Note that two songs on the widget apparently have the author of Amoungst The fallen. Those two are: "When No One's Listening" and "Falling into Gravity". Those songs were made by Nocturne. However Grooveshark messed up the Author name and I was unable to change it, sorry. Alright, so how do you find fault in a "Best of" release wich encompasses the greatness of three arlready perfect albums? You don't, you simply bask in it's infinite beauty. "End of an Era", while covering all of Nocturne's previous works and a considerable timespan, gives the impression that every song was written at the pinnacle of this artist's career. In summary, every track on this album is as good as the next one. Having personally listened to each of Nocturne's releases, what has always impressed me about this writer is how he combines every instrument as one entity, never leaves the slightest details overlooked and composes songs with a sense of know-how that just a handful of people can emulate. Nocturne has definitely blazed trails with a style of music that can only be branded as unparalleled. Every resplendent second of "End of an Era" is coated with a raw creativity that can take many artists years to achieve. All the ingredients that define what good music is can be found on this album: amazing harmonies, crunchy rhythms, powerful breakdowns, impeccable structure, captivating solos and the list goes on. Let's not forget that this compilation also features 4 previously unreleased tracks plus the music video for "A Blackened Nostalgia" wich truly captures the essence of the song. Bottom line, "End of an Era" will most likely remain one of the best and most unforgettable musical experiences for eras to come. 3. ...And Then there was One. "Decided to take a heavy feel to the new album. Felt the last album wasn't dark enough to portray what I was feeling." "My First Album written to explore and portrait the gradual angst that has overcome the artist on his easel, failing to keep his sanity, found at a loss of hope, paranoid of trivial memories of losing his love, hoping that his fate won't be quite the same." Being the first of four fantastic releases, "Shy of Perfection" has truly served as a stepping stone to launch Nocturne's brilliant career. While it may not mirror the ingenuity of his subsequent albums, this debut EP still has a fair amount of enjoyment to offer. A tad under the 25 minute mark, "Shy of Perfection" includes 7 tracks wich concentrate mostly on hard rock along with a few lighter punk influences. In general, the songs aren't overdone and respect the trademark structure that Nocturne has developped through his numerous compositions. There are also however a few areas wich are slighty cacaphonic and where we notice small technical slips. That being said, if we examine Nocturne's work as a whole, this release demonstrates how writing is a continiously evolving process and how great musicians will always find ways to improve their art. There are of course songs on "Shy of Perfection" which will make your head bop and are technically sound from start to finish. "When No One's Listening" with its catchy hooks and steady pace alongside "Destroying X n Os" with its creative timing and arrangements are prime examples of the above statement. There's also a nice display of stylistic dissonance and some good "stop n go" techniques throughout the album. In summary, "Shy of Perfection" does indeed bear it's name well as it's perhaps just a few notches away from being perfect per say. Shortcomings aside, it still remains a fine album and was enticing enough to await future Nocturne realease with impatience. If you've listened to other albums from this artist and haven't given "Shy of Percetion" a chance, then don't hesitate as you won't be disappointed. My name is Shaun, or those of you from POM.net may better know me as "Nocturne" (Former Name: L.EMO.N) Anyways, I'm currently a Admin on the site and I've been with the POM crew for almost about 2 years now. And I've always been a postwhore. What's a postwhore? Someone who always finds an oppurtunity to say something on the forums at every given moment. That being said, you can probably understand why I have the highest post count on the entire punk-o-matic forum. It's approximately 1300 and still rising. I also have the highest popularity count, and I'm not trying to tout, but I sort of find a sense of accomplishment out of it, it makes me feel liked and appreciated on the site. I love skateboarding, snowboarding, trampoline-boarding, paintball, air-soft, guitar and drums. Been playing Guitar for 2 years, drums on and off for about 4. I haven't committed fully to drumming until about 2 years ago. I have a cheap rickety 5 piece Tama Drum Set (Snare, Toms, Floor Tom, Bass Drum, Tama Hi-hat, Sabian Crash, Zildjan Splash "Measurements Unknown"). For those of you who know me well enough, you know I'm addicted to making graphics. I use photoshop for certain works, aviary for vectors and colors, and dafont for those edgy little fonts. Picnik also helps with those little areas. Easy interface makes me happy. "Nocturne started his punk-o-matic career as "L.EMO.N". On the first site, he was one of the most influent members, after creating tons of songs, becoming an hero on the forums (1000 posts+), making the "Signature Shoppe" that gave him tons of praises and the Legion, that was the first underground community for punk-o-matic members. He would then turn as "Nocturne" in December 2009 and become a moderator on punk-o-matic 2's website. Nocturne became the first artist to post a punk-o-matic 2 album on the label. In May 2010, Nocturne created "Nocturnal Media Studio", a huge project to help pom artists to get to the limit of their potential. NMS would then become a huge partner of Cookies & Biscuits Records. In the same month, Nocturne was named moderator on the website of Cookies & Biscuits Records."